One of the finest performers of Indian cinema is Sanjeev Kumar had said goodbye to the stage of this world on 6th of November in 1985. Most of us new generation people know him as Thakur of film Sholay, though this actor has played really versatile and soulful characters in many other remarkable Bollywood movies. The veteran actor of 80s was fit into any role from drama to action and from comedy to romance and to suspense also which made him win the national award for best actor in 1971 and 1973. This 1975 film is an absolute fine piece of drama by Gulzar. In this film, Sanjeev Kumar played a young man for a short time while the entire story shows him as an old man who is a doctor in regret. 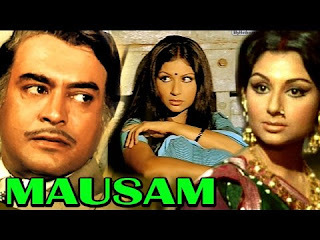 Although this film is believed to be made alive by Sharmila Tagore who played a double role performing both mother as well as daughter, I find the role of Sanjeev Kumar flawless in making the film successfully touch the corner of viewers heart the way it does. The Madan Mohan songs add to the melody of this tragic love story. This Gulzar created film is plotted on a deaf and dumb couple, played by Sanjeev Ji and Jaya Bhaduri Ji. The performance is excellent in showcasing the life events, joys, sorrows, pain and pleasure of the mute couple. The role of Hari Charan Mathur played by Sanjeev Ji along with all other characters of the films creates hope in despair when specially abled people love, live and express themselves and confront the challenges of life. 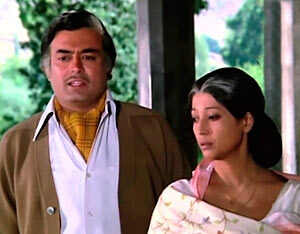 Many cinema critics count Koshish as the finest performance of Sanjeev Kumar. Plotted on the story of two pairs of identical twins, played by Sanjeev Kumar and Deven Verma, this 1982 film is an absolute fun. Though there are many other touching roles played by Sanjeev ji in his career, I include this film here being a soulful light comedy. The film is a screenplay based on Bengali novel Bhrantibhas in which the life events of characters take amusing twists and turns. Another 1975 Gulzar film starring Sanjeev Kumar that fetched awards and applause was Andhi. The plot of this film is said to be based on the life events of late prime minister Indira Gandhi which made it controversial while release. 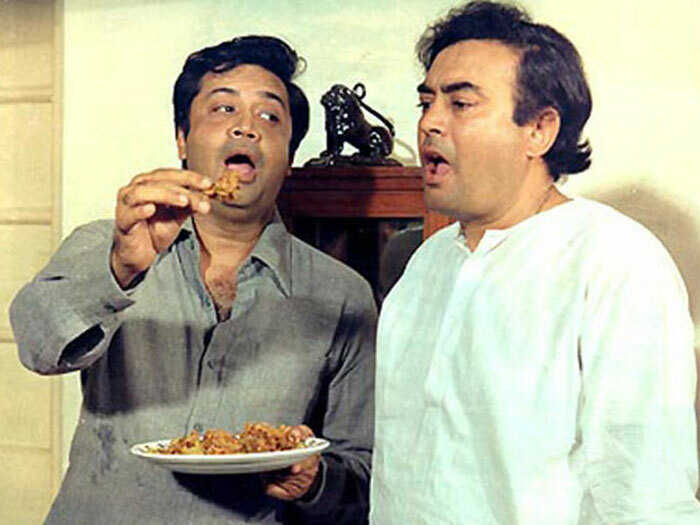 Sanjeev Kumar in this film played against Suchita Sen who played the role of a politician in power while they meet and separate due to emotional circumstances. All time classic melodies R. D Burman song “tere Bina Zindagi se koi..” and “tum aagye ho Noor aagaya hai..” are from this film. This is film that gave us lesson to take bath with cold water through its popular track “Thande Thade pani se nahana chahiye..” The 1978 B. R. Chopra film is a family drama full of comedy, romance and emotions. The story is plotted upon extramarital affair in the life of Ranjeet Chaddha played by Sanjeev Kumar with his wife and secretary. Despite these five best I could name here, Sanjeev Kumar films like Namkeen, Manchali, Seeta Aur Geeta, Trishul, Itni si Baat, Aap ki Kasam, Anamika, Shatranj Ke Khilari and many more are also there to make you a fan of Sanjeev Kumar’s acting and talent. 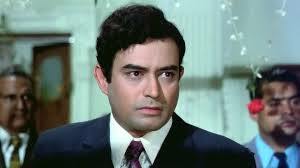 Do let me know which one is your favorite Sanjeev Kumar flick.